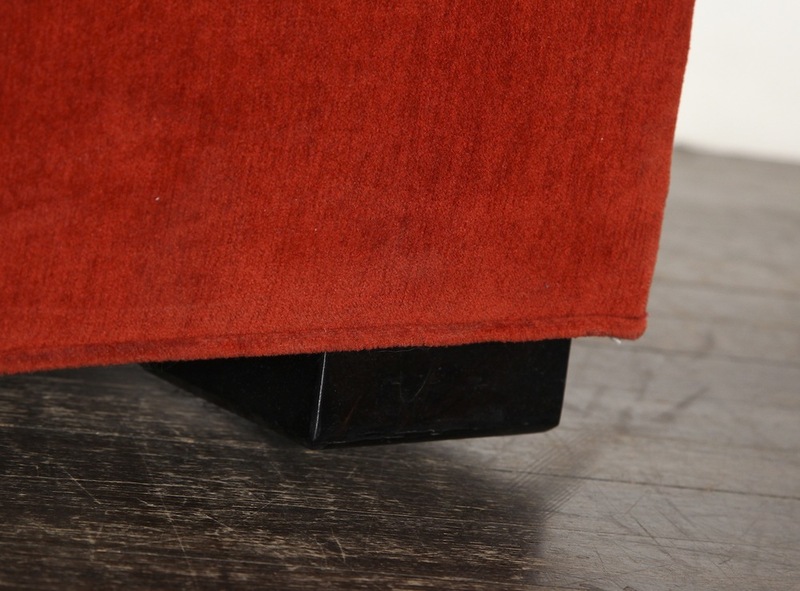 From a seating group design by Vittorio Vallebrega. 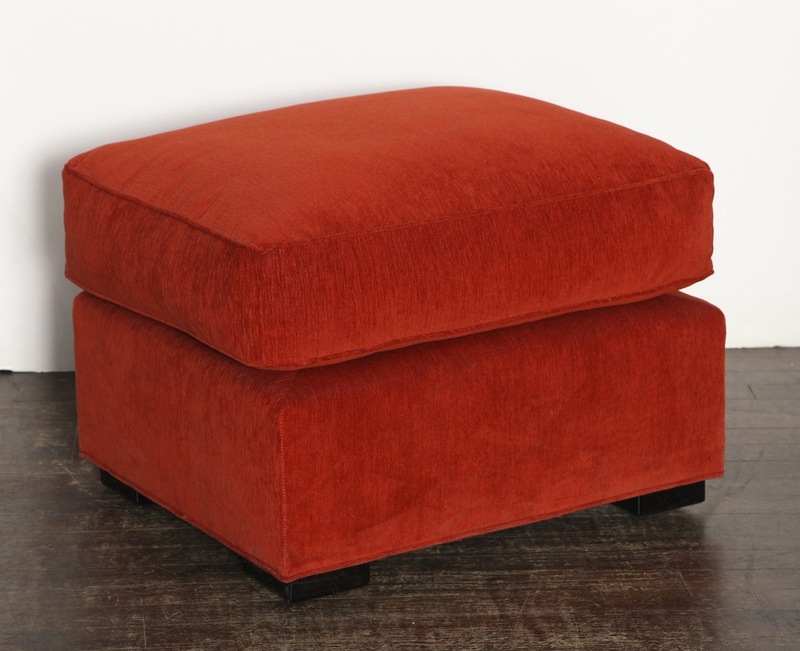 Rectangular bases with loose top cushions. 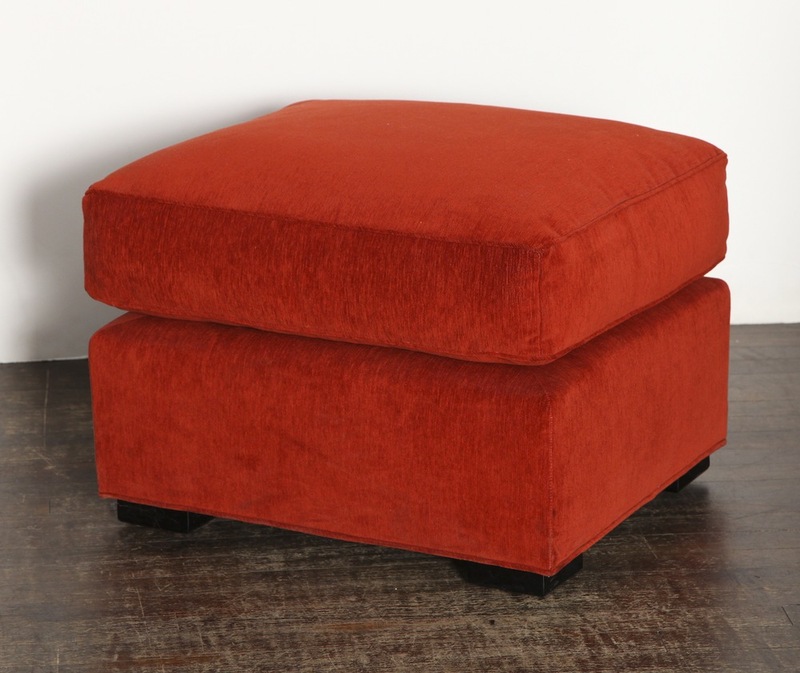 Upholstered in a rust colored chenille fabric, with dark stained wood feet. h. 16" w. 23.5" d. 19.5"